It's getting hard to tell what's legit and what's not concerning The Crow re-do. Last week it was reported that Avengers star Tom Hiddleston was the front runner to play the Eric Draven/Crow persona. But now, it is being said that those rumors are false and the role is, in fact, being seriously offered to Alexander Skarsgard. Yeah -- we need a press release, like yesterday. 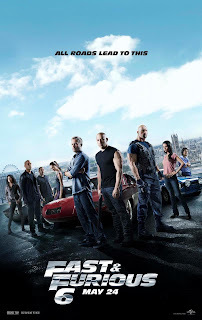 The final trailer before release (and TV spots) has hit for Fast & Furious 6. Colin Firth recently spoke to the Chicago Sun-Times where he was asked about the current progress on a possible Bridget Jones 3 -- and his answer isn't a good one (if you're a big BJ fan, that is). Q.What is the progress of the next Bridget Jones film? 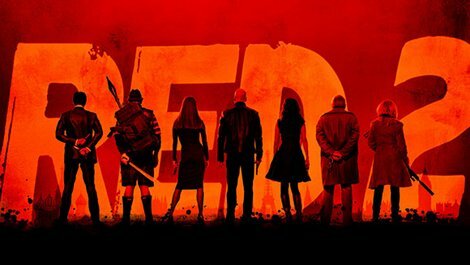 In RED 2, the high-octane action-comedy sequel to the worldwide sleeper hit, retired black-ops CIA agent Frank Moses reunites his unlikely team of elite operatives for a global quest to track down a missing portable nuclear device. To succeed, they’ll need to survive an army of relentless assassins, ruthless terrorists and power-crazed government officials, all eager to get their hands on the next-generation weapon. The mission takes Frank and his motley crew to Paris, London and Moscow. Outgunned and outmanned, they have only their cunning wits, their old-school skills, and each other to rely on as they try to save the world-and stay alive in the process. I am so excited for this news and for all you thriller, horror fans out there, this should excite you too! HBO and Guillermo Del Toro are teaming up to adapt Monster into a potential live action series which is based on the Japanese manga by Naoki Urasawa. Del Toro is also teaming up with Steven Thompson, who is best known for his work on Sherlock and Dr. Who. Thompson will be writing the pilot script and Del Toro will most likely be directing the pilot. Del Toro will also serve as executive producer along with Thompson. Monster is about a doctor who goes on the manhunt for the 12 year old boy the doctor saved and in turn learns that he is actually the most evil sociopath to have ever lived and must stop his mass genocide. 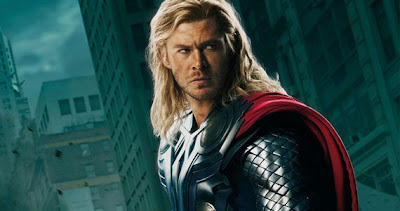 The official trailer for Thor: The Dark World has been released. Sylvester Stallone did a guessing game for his Twitter followers to figure out who the director was for the third entry in the Expendables franchise and the answer was Aussie director Patrick Hughes. Stallone sounds like he is a fan of Hughes and is excited to bring in a fresh face to the franchise. He also suggested checking out Hughes' short film Signs on YouTube and to see his film Red Hill. Are you excited for Expendables 3? Let us know in the comments! A sequel to Dodgeball is officially in the works. 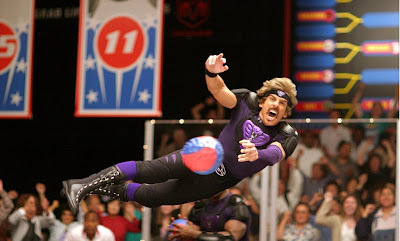 Ben Stiller's Red Hour Films has chosen Clay Tarver to write the screenplay for Dodgeball 2. Back in September of 2001, the late Roger Ebert published his review of Ben Stiller's Zoolander -- loaded with negativity and backlash. Remember, this was fresh of the events of 9/11 and the plot of Zoolander involved the attempted assassination of the Prime Minister of Malaysia who is against child labor. In a recent interview with The Hollywood Reporter, Stiller admitted that he was a little hurt by words of Ebert (although I'm sure many filmmakers have been hurt by Ebert). But, a few years later he ran into the famed critic backstage at The Tonight Show where Ebert actually apologized to Stiller for the negative review and that he actually finds the film to be quite funny. Stiller replied, "Thanks for telling me backstage at The Tonight Show." 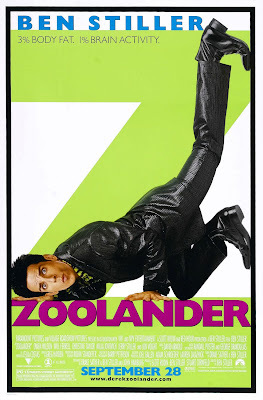 The interview also confirms that, yes, Stiller is still working on a Zoolander 2. A big thanks to our very own Shaine for pointing this out to me -- it appears that The Avengers star Tom Hiddleston is in serious negotiations to play Eric Draven in The Crow remake to be directed by F. Javier Gutierrez. 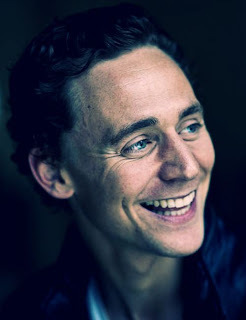 Marvel's The Avengers star Tom Hiddleston, who played the villain Loki, is in early talks to take the lead role in The Crow. 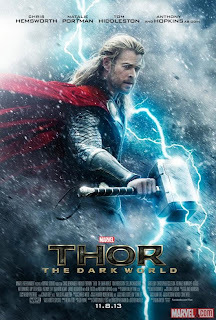 Marvel has released the first poster for Thor: The Dark World. Honestly, I find this poster to be a little lackluster. This could just as easily be a poster for the first Thor film -- nothing about it really states that this is a sequel or continuation (sans the title). Disappointed, I am. That is what I really like about the Sam Raimi Spider-Man films, they usually had a reflection of the film's main protagonist in Spidey's eye. As with Thor 2, not the case. 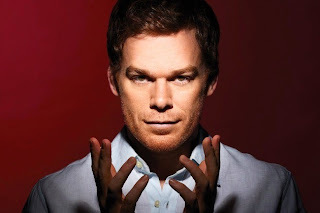 With the official word coming yesterday that this, the 8th season of Showtime's Dexter, will be it, the finale, we here at Sequel Buzz have decided to review Dexter in its entirety -- starting with season 1 episode 1. What's going to be a little different about this, though, is that we're starting something new here. We're launching a new subsection of SB called Buzz'd, where readers and fans alike will have the opportunity to contribute to the project. With this Dexter series review, I will you, the fans, and opportunity to choose which episode you want to review. We'll do this one season at a time (and with no certain launch date set yet). 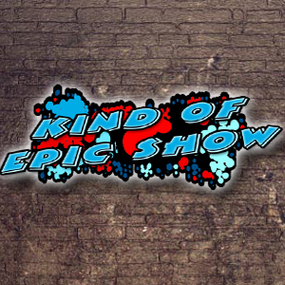 We think this can be a fun opportunity to see how others view certain episodes and whatnot. So let's get this started! 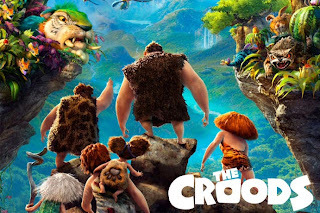 DreamWorks is moving forward with a sequel to this year's The Croods, starring Ryan Reynolds, Emma Stone and Nicolas Cage (all of whom are expected to return). With the film nearing a $400m payday, no surprise to hear DreamWorks Animation has given the thumbs up to a “Croods” sequel. The Caveman flick, featuring the voice of Ryan Reynolds, made up for the hefty loss the studio took on “Rise of the Guardians”. Today at CinemaCon, Fox shocked everyone with a short teaser trailer for a feature-length CG Peanuts movie. 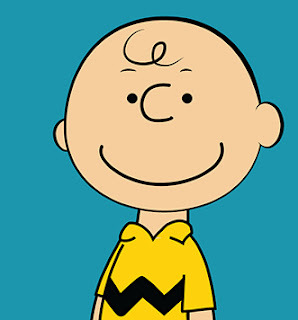 This news doesn't really bother me, seeing as how Charlie Brown and his friends haven't really gotten proper theatrical treatment (but they have done SUPER things with their TV movies...Great Pumpkin, anyone?). Fox surprised theater owners and journos with a sneaky trailer for a 3D animated Peanuts movie at CinemaCon today. Blue Sky Studios, the outfit behind the Ice Age flicks and Rio, will be bringing Charles Schulz's iconic world into the 21st Century with their very own film, directed by Ice Age: Continental Drift's Steve Martino. Universal Remaking 'Weird Science', Is Nothing Sacred? If it wasn't already official, it's official now -- nothing in Hollywood is sacred. Universal is moving forward with an R-rated remake of the John Hughes' classic Weird Science, which starred Anthony Michael Hall, Ilan Mitchell-Smith, Kelly LeBrock and Roberty Downey Jr. 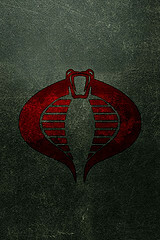 The remake will be produced by Joel Silver. Will I see it? Yes. Am I excited? No. It has been confirmed that 21 Jump Street 2 will hit theatres in 2014 via Sony Pictures. Jonah Hill and Channing Tatum will return to play the two bumbling cops from the first film. No word on any additional casting at this time. 21 Jump Street made over $200 million dollars worldwide last year so it should come as no surprise that a sequel has been confirmed. Jonah Hill and co-writer Michael Bacall have been working on a screenplay and production is set to begin sometime later this year. Are you excited for this news on the confirmation of 21 Jump Street 2? 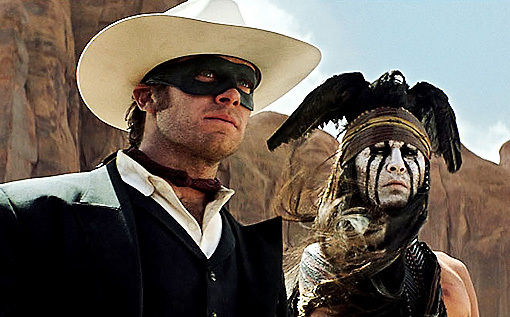 The last trailer before release has been revealed for Disney's The Lone Ranger, starring Johnny Depp as Tonto and Armie Hammer as the Lone Ranger. The final trailer for J.J. Abrams' Star Trek Into Darkness has been released. It is the last trailer before the film is set to be released May 17. A sequel to last year's Pitch Perfect is in the works over at Universal and is locked in for a 2015 release. Kay Cannon is returning to pen the screenplay. The first film is actually more of a dark comedy/musical rather than your typical Step-Up or Save the Last Dance. So as for a Pitch Perfect 2 -- bring it. 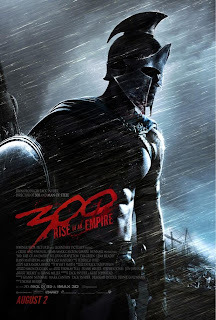 After the release of the third trailer for Zack Snyder's Man of Steel (which is getting rave reviews), Snyder must've felt pretty confident in himself to release the poster for 300 prequel 300: Rise of an Empire. 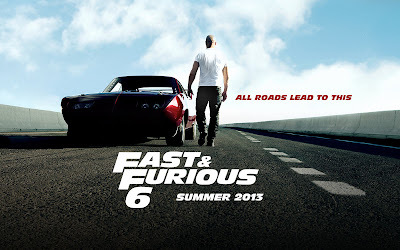 Although Fast & Furious 6 doesn't come out until May 24, Fast & Furious 7 already has a release date set for July 11, 2014 -- that's just a little over a year from the release of Fast 6. With new director James Wan and Jason Statham reportedly playing the baddie this time around, let's see what kind of action flick they can roll out in such a short amount of time! Wow. The third trailer for Zack Snyder's Man of Steel has been released and this reboot is shaping up to be nothing short of epic. Kudos to Snyder and Christopher Nolan and company -- it appears they are doing Superman justice. I'm not too sure what kind of role Electro played in the comics and cartoons, but hopefully his cinematic appearance is a memorable one. 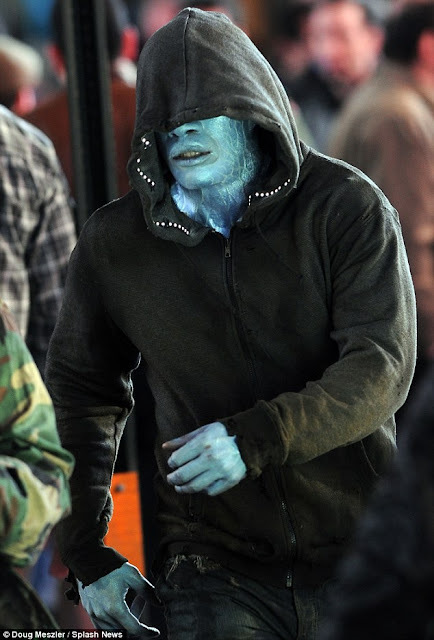 Thanks to The Daily Mail, the first ever photos of Jamie Foxx as Electro have been revealed. 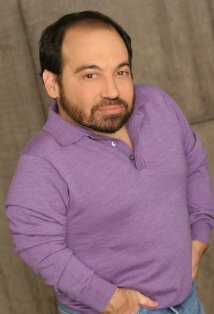 The main cast is now complete as Seinfeld alum Danny Woodburn has been cast as Splinter in the Michael Bay-produced Teenage Mutant Ninja Turtles. The Spike Lee remake of Oldboy now has an official teaser poster that was revealed at CinemaCon. Alan Ritchson, who is probably best known for his role in TV's Blue Mountain State, will be playing Raphael in the new Michael Bay-produced Teenage Mutant Ninja Turtles. What's interesting is that in an interview with The Hollywood Reporter at the MTV Movie Awards, Ritchson defends the new movie by stating that most of what we've heard online is false -- and that there isn't anything to worry about with the new flick. The facts we know: Megan Fox is April O'Neil. Are the turtles still from an "alien race"? That came from Bay's mouth, himself, so who knows. What I do know is that I am very eager for this reboot. I even started rewatching Ninja Turtles: The Next Mutation on Netflix if that says anything. A new viral video for Zack Snyder's Superman reboot Man of Steel has been released. In the video, General Zod issues a warning for the people of Earth and Superman himself. 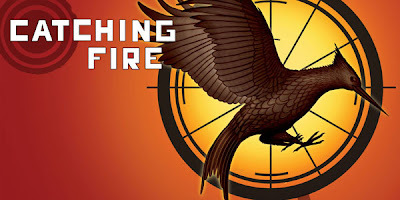 The official teaser trailer for The Hunger Games: Catching Fire has been released. The Mortal Instruments: City of Bones already has a prequel series in the works. Stephanie Sanditz has been hired to adapt the Infernal Devices books. Young adult franchise hopeful The Mortal Instruments: City of Bones doesn’t open until August 23, but Constantin Films is already working on a prequel. 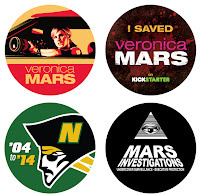 The Veronica Mars movie has officially been fully funded by you, the fans. The Kickstarter campaign ended yesterday. The goal was $2M -- they got $5.7M! So if you were a fan of the show then this is great! Get all the details by heading to official page for the project. 'Scary Movie 5' Pulls In $5.5M Opening Day, Peak? Scary Movie 5 has opened with a $5,515,000 opening day -- coming in at number 2 behind the Jackie Robinson bio-pic 42. But with a wave of negative reviews, has this fifth Scary installment reached its peak? We here at Sequel Buzz seem to think it has. It's a shame, really, because I'm so fond of the first two films in the franchise (the ones with the Wayans). But, yes, sadly, this franchise has sung its last tune -- the final nail has been hammered home. I don't expect Scary Movie 5 rake in no more than $50M. Now will that warrant another sequel? I hope not. Have you had a chance to check SM5 out yet? What'd you think? Less than a month after its release, G.I. Joe: Retaliation passed the $154-million mark its 2009 predecessor set for foreign box office sales, according to Box Office Mojo. The dollar amount is even more impressive considering the dismal 28-percent approval rating from Rotten Tomatoes, a nine-month delay for re-shoots and a shotty 3D conversion during post-production. With its action figures, funny pictures, online games and toys flying off the shelves, G.I. Joe holds its place as a popular franchise. The movie did so well that a G.I. Joe 3 is already in the works. 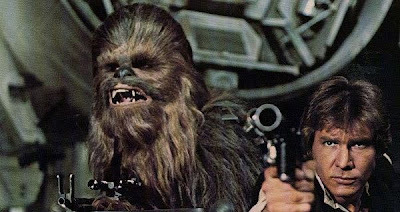 Variety magazine reports that Paramount Pictures plans to move forward with a third installment to the Hasbro franchise, hoping to carry the success of the first two movies across a complete trilogy. No official word on an expansion to the existing cast or change in direction, but expect Bruce Willis and Dwayne Johnson to return with bigger explosions, badder villains and all-around more 'Merica. 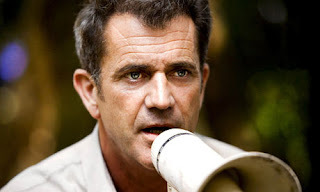 Mel Gibson Directing 'The Expendables 3'? Sylvester Stallone wants your input on who should direct The Expendables 3. Stallone jokingly tweeted about Mel Gibson directing Expendables 5, but then followed up with a serious tweet asking if Gibson should direct the third chapter. My opinion? Hell yes! This is something that could very well come to fruition and may end up with Mel being in the film as well. The guy's done great work with Braveheart, Passion of the Christ and Apocalypto. So I think he'd deliver a fun and exciting Expendables movie. Director Steven Mena is hard at work with his third chapter in the Malevolence trilogy (Bereavement was the prequel/second entry). Malevolence 3 currently has an Indiegogo campaign running and there's a minimum contribution of $25 (super cheap). The second trailer for The Hangover Part III, Todd Phillips' epic Hangover finale, has been released -- and just like it was promised, this third entries appears to be drastically different than the first two. James Wan, the director of Saw, Insidious and Insidious Chapter 2, is Universal's choice to replace Justin Lin in the director's chair for Fast & Furious 7. Now this is quite a step from the horror genre that Wan is accustomed to, but I think he'll do just fine. Doctor Who Is back on our screens and we're back to spoiling it for you! The press release for the Point Break remake has been revealed. And just as Beaks over at AICN pointed out, there is a definite cause for hesitation here. 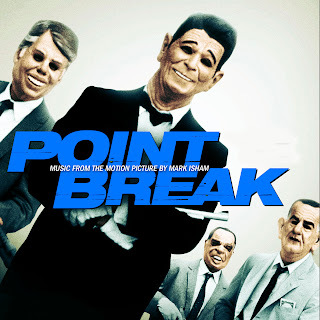 LOS ANGELES, CA., APRIL 10, 2013 – Ericson Core (“Invincible”) will direct the feature film remake of the classic 1991 action-thriller POINT BREAK for Alcon Entertainment, it was announced by Alcon co-founders and co-CEO’s Broderick Johnson and Andrew Kosove. 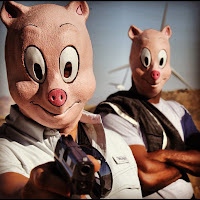 Kosove and Johnson will produce along with Michael DeLuca, John Baldecchi, Chris Taylor and Kurt Wimmer (“Salt,” “Law Abiding Citizen,” upcoming “Total Recall”), who also wrote the screenplay. RGM Media principal Devesh Chetty and investor John McMurrick, Chairman of Marloss Entertainment, will serve as Executive Producers. The new version of the film is set in the world of international extreme sports, and like the original involves an undercover FBI agent infiltrating a criminal ring. The filmmakers are keeping other plot points under wraps. 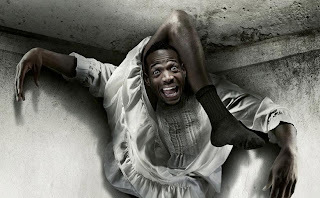 So, well, a sequel to this year's A Haunted House, starring Marlon Wayans in his latest horror-spoof, has been greenlit by Open Road Films and IM Global. As a moviegoer, I should be insulted by this -- but, as someone who loved the first two Scary Movie films, I'll give this a chance. Apparently the working title is A Haunted House 2 -- just keep it. Open Road Films has acquired U.S. distribution rights to IM Global's sequel to the 2013 box office hit A Haunted House. The film has been fast-tracked to hit theaters in the winter.